Combined with some of your favourite strain, these 3 crystal rituals will help you move into fall in a magical, meditative way – which is ideal for what this season is asking of us, energetically. Fall is a magical time to connect with the earth. One way to do that? By working with crystals. When we set intentions using crystals – whether we meditate with them, bathe with them, bury them in our gardens outside our place, or any number of rituals, we communicate our intention to a small gem with a BIG vibration and strong connection to the entire earth. So, we may meditate alone, but with a crystal we call in the energetic support and alliance of the entire mineral kingdom. The shift in seasons is a powerful time to do this! 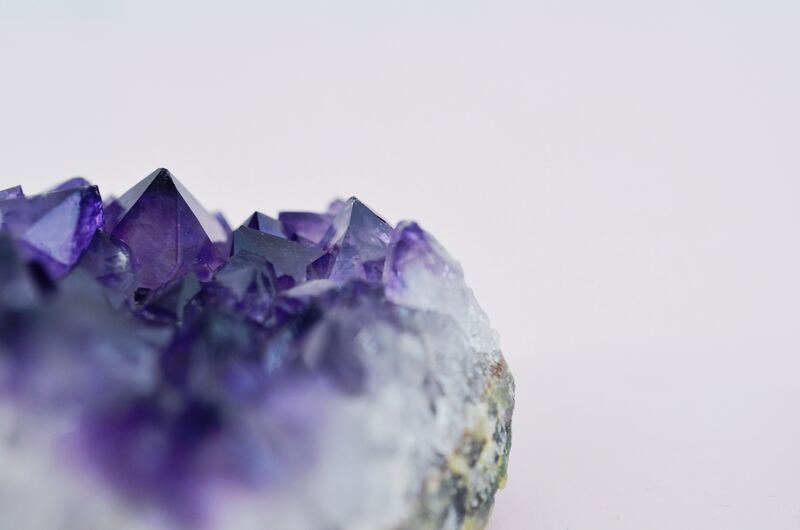 Combined with some of your favourite strain, these 3 crystal rituals will help you move into fall in a magical, meditative way – which is ideal for what this season is asking of us, energetically. Where summer offered us 3 months of motivation to socialize and make all the outward moves, fall now wants to remind us that we need to rest, take care of our bodies, and root into our sense of security by making our spaces of retreat feel good. Release. Think: dead leaves falling away. What are you ready to let go of now? Preserving of ‘cream of the crop’ of our harvest from summer. What do you want to preserve that still nourishes you? Think: relationships, connections, opportunities that hold promise. Stillness and retreat. The drop in temperatures are nudging us to make our homes the safe spaces we need them to be. Bringing back balance. Light and dark show up about equally, around this time. What part of your life needs more attention now, after summer? Get you some grounding, protecting crystals like shungite, black tourmaline, red jasper and selenite to get in sync with the new season now. Here’s how to do it. Diffuse some warming spices in crystal water. In a pot on your stove, combine some cinnamon sticks, cloves, anise, orange rind, and a shungite crystal (these are great for grounding and relaxing the mind) and boil to diffuse a super-clearing, seasonal aroma though your space. Or: If you have a favourite room spray, drop a gem into the spritz bottle. Make a small seasonal altar to hold an intention. A space where you can go to connect with yourself and the earth is a great way to turn the page on a new chapter. Keep it simple. Choose a shelf top, or coffee table, and place a dish with a few items you feel connected to, a few crystals you vibe with, and symbols of the season – acorns, gourds, dried herbs, etc. Make a routine of going to it, lighting a candle if you want, and calling your seasonal intention to mind. Hang a fall wreath on your front door with some black tourmaline crystals weaved into it. The front door acts as the symbolic entryway for energy to flow in, and black tourmaline is great for absorbing negative energy. Hide some in the twigs and wildflowers and only good vibes will enter. Find a spot where you can place a couple crystals undisturbed for 2 weeks (until the new moon, or the start of a new lunar cycle), like a back deck or windowsill. Clear the space, energetically. On a piece of paper, write down what you want to release (maybe a bad habit, etc.) Place the piece of paper on top of a flat piece of Selenite. The selenite will remove and clear it away. Now on top of the paper, put a gem that resonates with the energy of what you want to replace the bad habit with. If it’s more love, choose a rose quartz. If it’s more personal power, choose a tiger’s eye. Leave them for 2 weeks. Afterward, rinse the crystals and sage them to clear their energy again. Since fall is all about preparing for the colder months and getting feeling supported, doing root chakra balancing acts can help build up that sense of security we’re craving now. Our root chakra is the energy center located at our groin, and it’s the seat of our basic security. By placing a red jasper, which is a super grounding stone, over this area, we allow for an unblocking of this energy centre and space for any insights to come through around what might be holding us back. 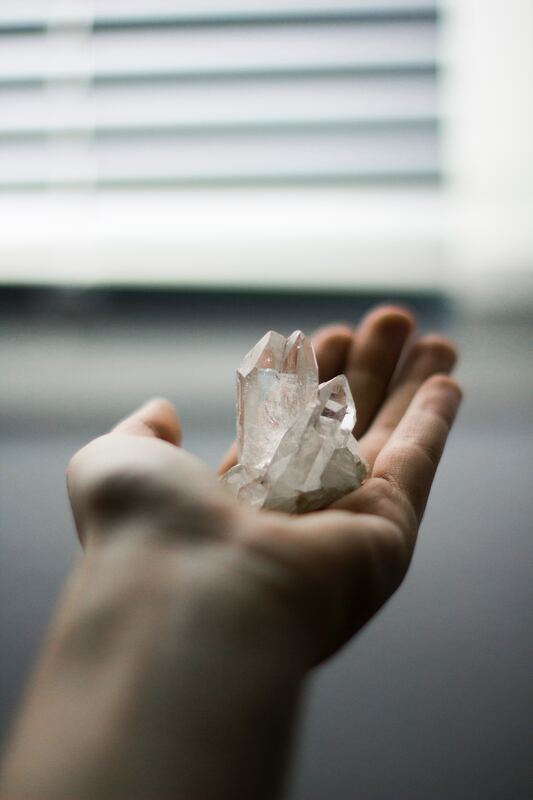 Whether you set a timer for 20 minutes and ‘breathe into’ this area of your body, or let an app like Headspace guide your meditation, this crystal can help you emerge from your meditative state feeling more grounded. 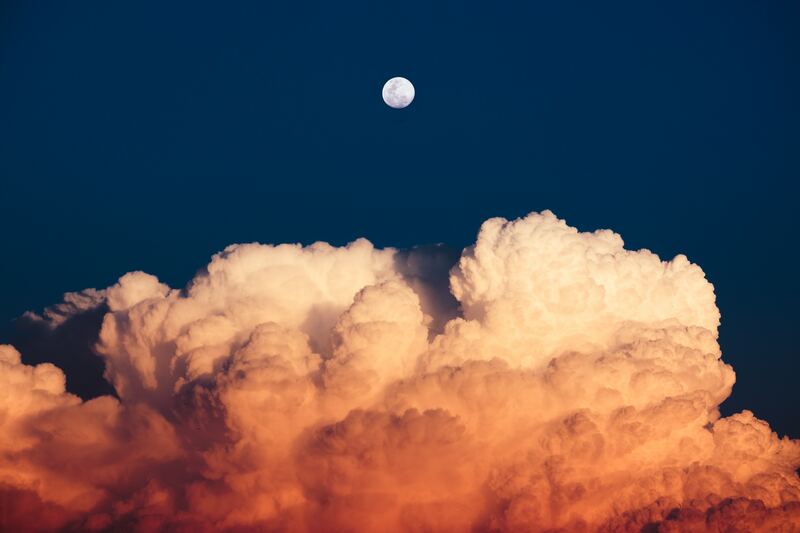 And, to really enhance your sesh, do it elevated – meditation and pot have both proven to be both effective in reducing stress, and together, could deliver an enhanced mindfulness experience. After you’re done, remove the crystals and write down any information that came through, if you’re into that. Processing the insights gained in meditation through writing can really help to bring things into focus. Rinse your stones off under running water, and sage them to clear.